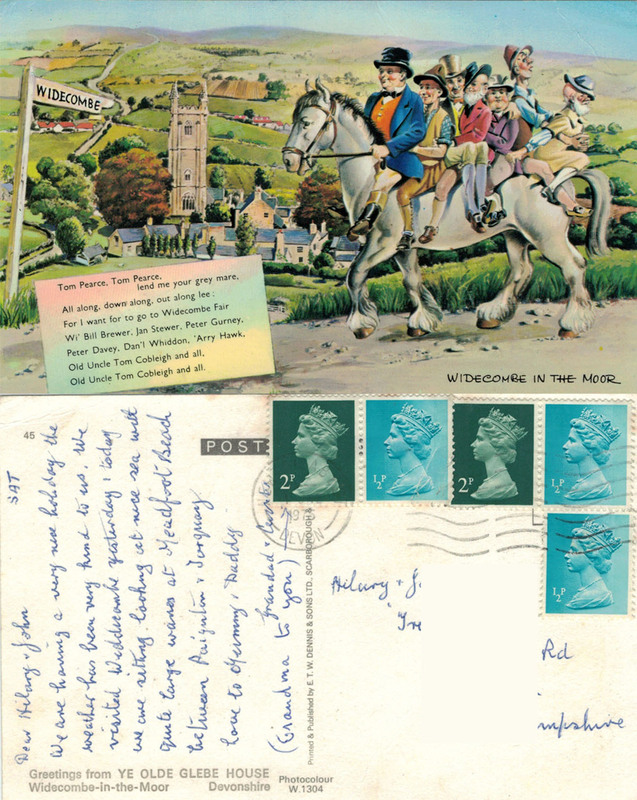 This entry was posted in Deltiology, Philately and tagged Devon, grandparents, holiday, Nostalgia, nursery rhymes, postcard, sewing, textiles, Widecombe. Bookmark the permalink. Bring back 1/2p’s; grandparents are ACE; and Tom Cobbleigh and all!!!!! Thanks for sharing your pcs. I’ll send you one! That would be great! I’m trying to add to my collection – will mix the recent up with the ancient!